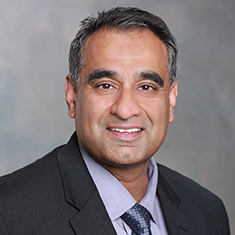 Dr. Jitty Malik focuses his practice on patent litigation, opinions, IP due diligence, licensing and prosecution. Jitty is experienced in handling patents that are challenged in the inter partes review process before the USPTO. He has particular experience in the drug approval process under the Hatch-Waxman Act, including developing patent strategies to assist clients in marketing drug products, litigating patents under the Hatch-Waxman Act and evaluating competitive patents. Jitty counsels clients on issues related to biologics, biosimilars and the new biosimilars pathway. His scientific knowledge includes chemistry, biochemistry, organometallic chemistry polymer chemistry and physics, and electrochemistry. Prior to law school, Jitty was a project supervisor for a leading semiconductor materials manufacturer. He has been published in several scholarly scientific and legal publications and is a frequent speaker on semiconductor matters. Shown below is a selection of Jitty’s engagements. litigation in the US District Court for the District of Delaware involving five patents directed to a controlled release of budesonide. litigation in the US District Court for the Middle District of Florida involving a patent directed to a controlled release of mesalamine. litigation in the US District Court for the District of New Jersey involving multiple patents directed to methylnaltrexone bromide formulation for subcutaneous injection. litigation in the US District Court for the District of Delaware involving multiple patents directed to treating moderate to severe dementia of the Alzheimer’s type with memantine. litigation in the US District Court for the District of New Jersey involving two patents directed to the reduction of elevated total cholesterol using ezetimibe and simvastatin. Section 505(b)(2) Hatch-Waxman litigation in the US District Court for the District of New Jersey involving two patents directed to an intravenous formulation of acetaminophen. litigation in the US District Court for the District of New Jersey involving numerous patents associated with the treatment of post-operative inflammation and reduction of ocular pain in patients who have undergone cataract surgery using a bromfenac ophthalmic solution. litigation in the US District Court for the District of Delaware involving multiple patents associated with the treatment of early-stage idiopathic Parkinson’s disease and moderate-to-severe restless legs syndrome using rotigotine. representation of one of the largest pharmaceutical companies in the world as plaintiff in a patent infringement action involving medical foods before the US District Court for the Eastern District of Texas. representation of a developer of direct bonding technology for 3D integration as plaintiff in a patent infringement action involving image sensors before the US District Court for the Northern District of California. representation of one of the world’s largest chemical producers as plaintiff in a patent infringement action involving animal health products before the US District Court for the Middle District of North Carolina. defense of a developer of cardiovascular treatments in a patent infringement action involving medical devices before the US District Court for the Northern District of California. defense of an integrated textile company in a patent infringement action involving fabric technology before the US District Court for the Southern District of New York. defense of an industrial valve manufacturer in a patent infringement action involving industrial petrochemical equipment before the US District Court for the Central District of California. representation of a fiber optics developer as plaintiff in a patent infringement action involving optical fiber technology before the US District Court for the Northern District of Georgia. defense of one of the largest petrochemical companies in the Americas in a patent infringement action involving systems for petrochemical refining before the US District Court for the Western District of Texas. representation of a developer of nutrient-use efficiency technologies as plaintiff in litigation involving a patent directed to substances that improve plant growth. representation of a medical devices corporation in litigation regarding a patent directed to feeding tubes. representation of a global leader in the production of controlled substances for the pharmaceutical industry. Editor, USPTO Post-Grant Trials Handbook, Wolters Kluwer Legal & Regulatory U.S.